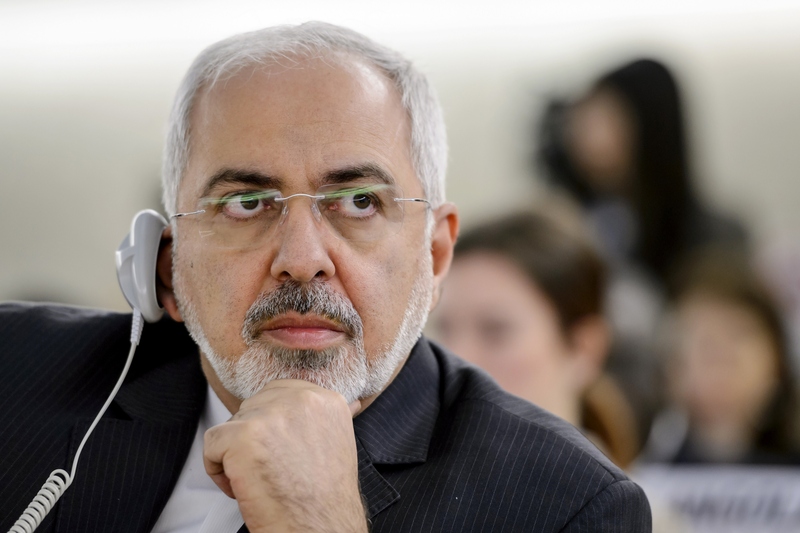 Iran: GOP letter on nuclear negotiations a "propaganda ploy"
Iranian Foreign Minister Javad Zarif thinks some Senate Republicans need a lesson in civics and international law. In a letter sent Monday to Iran's leaders, Arkansas Sen. Tom Cotton and 46 of his GOP colleagues warned that any agreement the U.S. reaches with Iran on that country's nuclear program might not be the final say on the matter. "The next president could revoke such an executive agreement with the stroke of a pen," they wrote, "and future Congresses could modify the terms of the agreement at any time." In response, Zarif brushed the letter aside, saying it "has no legal value and is mostly a propaganda ploy." "It is very interesting that while negotiations are still in progress and while no agreement has been reached, some political pressure groups are so afraid even of the prospect of an agreement that they resort to unconventional methods, unprecedented in diplomatic history," he added. Zarif "expressed astonishment that some members of Congress find it appropriate to write leaders of another country against their own president," a press release explained. "It seems that the authors not only do not understand international law, but are not fully cognizant of the nuances of their own Constitution when it comes to presidential powers in the conduct of foreign policy." He warned that a change of administrations would not relieve the U.S. of its obligations under an international agreement reached under the previous administration. Any attempt to change the terms of that agreement, he added, would be a "blatant violation of international law." "The world is not the United States, and the conduct of inter-state relations is governed by international law, and not by U.S. domestic law," Zarif explained. "The authors may not fully understand that in international law, governments represent the entirety of their respective states, are responsible for the conduct of foreign affairs, are required to fulfil the obligations they undertake with other states and may not invoke their internal law as justification for failure to perform their international obligations." Zarif's response echoes that of some Democrats, who have criticized Republicans for taking the "unprecedented" step of preemptively undermining President Obama's drive to secure a deal over Iran's nuclear program. "I am appalled at the latest step of 47 Republicans to blow up a major effort by our country and the world powers to negotiate a peaceful resolution to the Iranian nuclear program," Sen. Dianne Feinstein, D-California, said in a statement. "This is a highly inappropriate and unprecedented incursion into the president's prerogative to conduct foreign affairs and is not befitting this chamber. This letter only serves one purpose--to destroy an ongoing negotiation to reach a diplomatic agreement in its closing days." President Obama said Monday he finds it "ironic" to see some members of Congress "wanting to make common cause with the hardliners in Iran" who oppose a deal. "It's an unusual coalition," he said. "I think what we're going to focus on right now is actually seeing whether we can get a deal or not...If we do, then we'll be able to make the case to the American people and I'm confident we'll be able to implement it." The U.S. and five other nations are seeking a deal with Iran that would allow Western powers to verify that Iran's nuclear program is being used only for peaceful energy purposes, and not to pave the path to a nuclear weapon. The next round of negotiations is scheduled to begin March 15. President Obama has repeatedly stressed that "no deal is better than a bad deal," and he's said the U.S. will simply walk away from the talks unless they produce a deal that allows officials to verify Iran is keeping its end of the bargain.